petang sume. hehe nina kne tag la. hehe thnx to aboy tag nina. nme sy slh eja la. bkn RUQAIAH but RUQAIYAH ye. never mind. next time btol la ye. hehe tgk award ni cute kn. nina ske. tp sblm amek ni kne jwb soklan die dlu..
1. SIAPA YANG BAGI AWARD INI? 2. 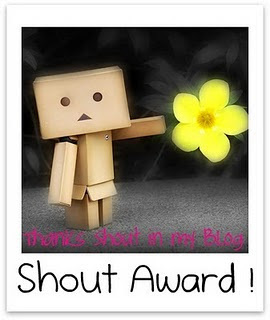 APA KOMEN ANDA TENTANG BLOG YANG MEMBERI AWARD INI? 3. BLOG YANG SELALU ANDA SINGGAH? hehe of kos blog sndr. hehe bt terlalu bnykla singgah blog org. da terkira da. 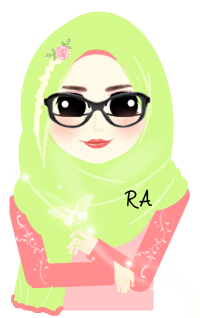 hehe nina ske tgk blog2 yg cute ! 4. AYAT YANG BIASA ANDA TINGGALKAN DI SHOUTMIX YANG ANDA SINGGAH? hehe " follow u. if u don mind follow me back. thnx :)"